This is a book about survival, mentally and physically. From the prologue, I was instantly sucked in. I knew this was going to be a doozy of a story. My heart was in my stomach after those couple of pages. Whew! 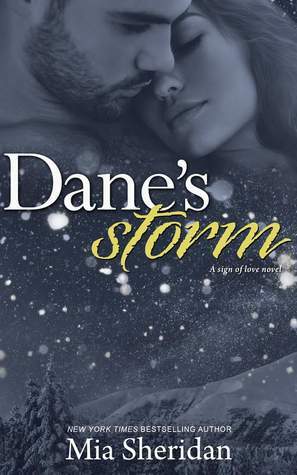 Dane and Audra’s story is a heartbreaking one. What started out as a whirlwind romance eventually turned into heartbreak and resentment. What they went through, I wouldn’t wish on my worst enemy. The unimaginable pain they have lived with through the years is more than most can bare. They never imagined they’d get a second chance. But the heart wants what the heart wants. When circumstances bring them together, Dane offers to fly them back home to resolve an issue, but no one expected his plane would go down and they would be fighting for their lives. While they’re trying to survive they are forced to come to terms with what made them break all those years ago. I wish it didn’t take a plane crash to bring them to this point, but sometimes fate likes to rattle us. This story is told from both POVs and in the end, I found myself feeling more for Audra than I initially thought. She tends to be rough and tough and hold things inside, but it’s a defense mechanism. She knows once she opens herself up, all her walls will come crashing down. I am thankful that Dane took initiative and started to chip at her defenses. She wasn’t the only one hurting. Once she realized that her heart could start to heal. This is a standalone which was released as an audible first, but I’m reviewing the ebook. I haven’t listened to it yet. Not sure if this a fast read, since I’m a speed reader, but all I know is that I couldn’t stop. I needed to know they would be okay. I needed to know they would be healed, inside and out. I needed it. And I’m glad I found out. Mia Sheridan has this way of writing that makes you feel it all. All the pain and sadness, and then the joy. Can you epilogue? My heart is happy.